Yes Bank shares fell 6.1% to Rs 152.15, their lowest since March 18, 2016, in early trade with more than 3.3 crore shares changing hands by 9:31 am. 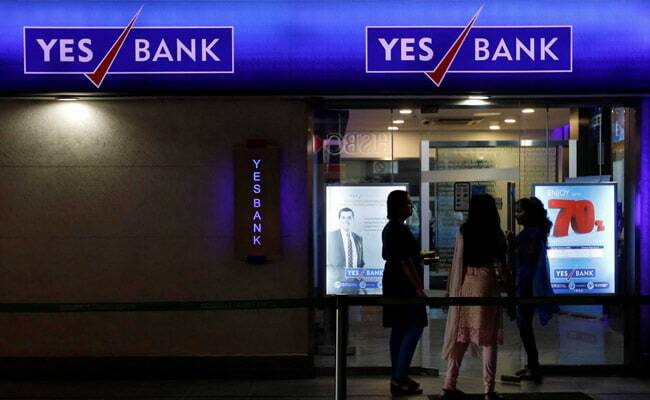 Yes Bank Share Price: ICRA said Yes Bank's ratings remain on watch with negative implications. Shares of Yes Bank Ltd plunged to their lowest in more than two years on Thursday after credit rating agencies ICRA and CARE Ratings downgraded ratings on the lender's debt instruments. The fifth largest private-sector lender by assets has had a tumultuous couple of months, with its stock nearly halving in value this year and a number of departures from its board, since the country's central bank cut short its chief executive officer's term in September. The bank's shares fell 6.1 per cent to Rs 152.15, their lowest since March 18, 2016, in early trade with more than 3.3 crore shares changing hands by 9:31 am, compared with their 30-day average of 4.9 crore shares. ICRA downgraded domestic long-term ratings of the bank's senior debt instruments to 'ICRA AA' from 'ICRA AA+' and its subordinate debt instruments to 'ICRA AA-' from 'ICRA AA', the bank said late on Wednesday. Earlier this week, rating agency Moody's also downgraded the bank's foreign currency issuer rating and changed its outlook on the bank to 'negative' from 'stable', sending its shares lower. ICRA said Yes Bank's ratings remain on watch with negative implications, while CARE said ratings remain on credit watch with developing implications. As of last close, Yes Bank shares had fallen 48.6 per cent this year.